Over the last week or so we’ve been highlighting how factor investing is not as cut and dry as advertised. 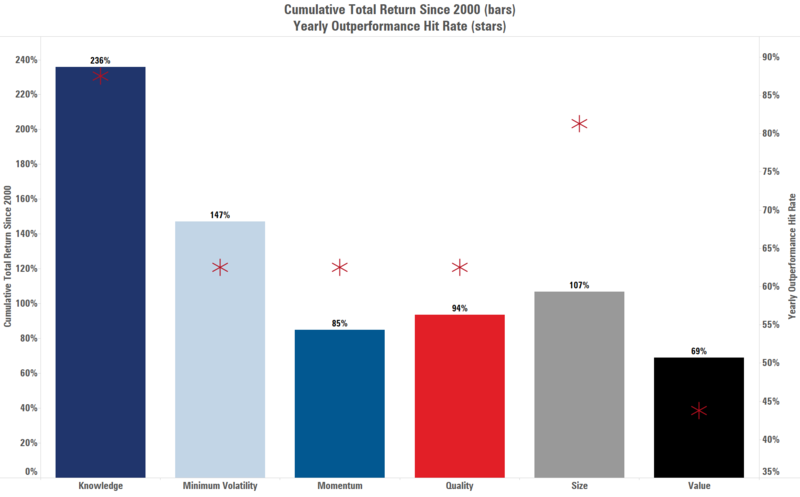 The traditional simple factors (value, size, momentum, quality, low volatility) sometimes work and sometimes don’t so investors are left to make educated guesses about which factors will work in any given year. Here we’re defining “work” as these factors’ outperformance, or not, of the broad equity market. But the Knowledge Factor (the Gavekal Knowledge Leaders Developed World Index) doesn’t appear to have this same limitation. As we’ve shown already two times in the last five days, the Knowledge Factor – the tenancy of highly innovative companies to realize excess stock market performance – is the only factor that delivers consistent outperformance vs the global stock market. In the first chart below we show the yearly binary relative out/under performance of each MSCI Factor index relative to the MSCI World Index itself. A blue line and a +1 represents a year of outperformance for that factor and a red line and a -1 represents a year of underperformance. The results speak for themselves as it’s clear that there is no discernible trend in the out or unerdperformance of the five MSCI simple factors on a yearly basis. Said differently, sometimes the factor exposures outperform and sometimes they don’t. The top line that shows the Knowledge Factor’s relative performance is as stable as it gets, returning less than the MSCI World Index only twice in 16 years. This next chart shows the cumulative performance since 2000 for each of the MSCI simple factors and the Knowledge Factor (the bars) and the yearly hit rate of outperformance relative to the MSCI World Index (the stars). 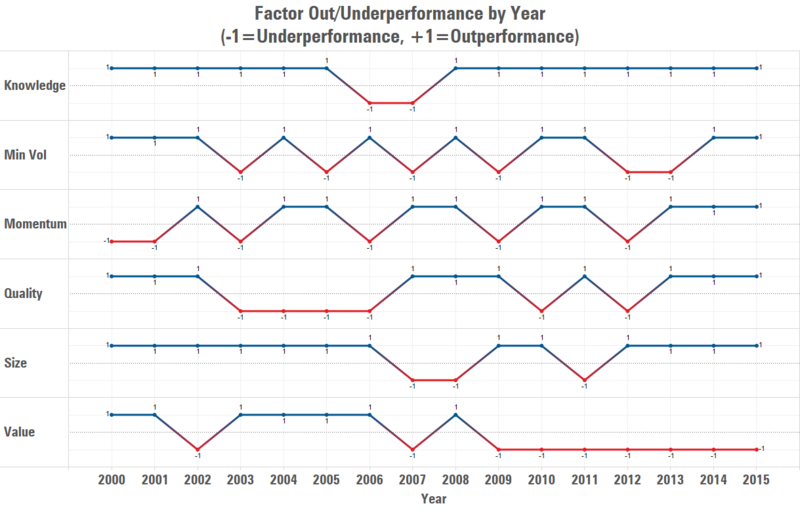 Over time, the stable outperformance of the Knowledge Factor has resulted in by far the highest total return of any factor over the last two full market cycles. 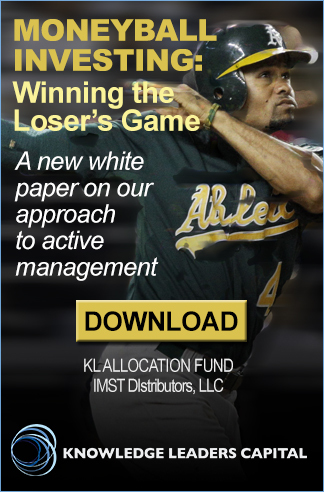 Having laid out the above, we then analyzed the performance of the Knowledge Factor to see if there were certain market environments which were not supportive of the Factor’s outperformance. We looked at bull markets and bear markets, periods of rising and falling interest rates, periods of rising and falling commodity prices, and periods of rising and falling inflation trends. 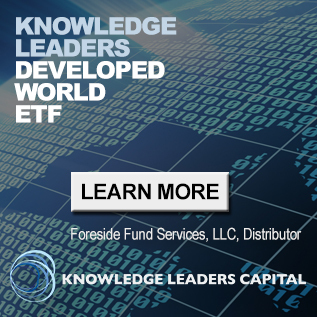 We observed no market environment in which the Knowledge Factor did not outperform the MSCI World Index, leading us to conclude that the Knowledge Factor is the gift that keeps on giving. Today we want to take a slightly different tack to try to understand the sources of performance of the Knowledge Factor (the Gavekal Knowledge Leaders Developed World Index). We’re going to decompose the return of the Knowledge Factor to see if underlying simple factor tilts are the sole reason for this factor’s outperformance. If the Knowledge Factor is just an intelligent combination of the simple factors, then the return stream could be easily replicated and the relative performance of the Knowledge Factor described above would lose significance. This factor exposure model does a good job explaining the return stream of the Knowledge Factor (the Gavekal Knowledge Leaders Developed World Index) because the adjusted r-square is .95, meaning that 95% of the Knowledge Leaders Index return stream is explained by this model. All of the beta coefficients except the Size Factor coefficient are in the single digits and none of the individual beta coefficients are statistically significant. In other words, there are no large factor tilts in the Knowledge Leaders Index returns and any factor tilts observed in the model cannot be statistically relied upon given the low t-stats and high p-values. Said even differently, none of the MSCI simple factors, in isolation or combined, can explain the returns of the Knowledge Factor. Even after taking into account the incredibly small and insignificant factor exposures, the Knowledge Factor has a highly statistically significant unexplained annualized alpha of 3.18%. We know the 3.18% alpha is statistically significant because the t-stat is greater than 2 and the p-value is close to zero. These results indicate that the Knowledge Factor is not simply an aggregation of the simple factors. The returns of the Knowledge Factor are all-together different than the return streams of the simple factors. This goes a long way in explaining why the Knowledge Factor consistently outperforms global stocks on a yearly basis and outperforms in all the market environments studied. There are no underlying factor tilts dictating the performance of Knowledge Leaders except the Knowledge Factor itself, which is the systematic mispricing of highly innovative companies.